Autumn brings with it a plethora of fun things to do, and one of my favorites is going down to Apple Hill, which is just past Pollock Pines on Hwy. 50. If you’re coming from the North Shore or Truckee, you can make a day of it and take the long way around down Hwy 89 South and view all the spectacular fall colors along the way. Maybe make a quick stop at Taylor Creek, where the aspens are abundant and in all of their fall glory. Stroll along the creek to view the brilliant red and green hues of Kokanee Salmon as they make their way to their spawning grounds. Who knows? You might spot a bear or two fishing for a quick meal. It’s a beautiful drive all the way down to Apple Hill, and you’ll no doubt be starving once you get there. The beauty of Apple Hill is not only can you get a full basket of the season’s most crisp, delicious apples, but many of the orchards offer a full compliment of good eats beyond home made apple pies. BBQ Tri Tip and Pulled Pork Sandwiches often top the menus in addition to other fare. You’ll find more than just apples at Apple Hill. It’s fun for the whole family, featuring pumpkin patches, pick your own berry farms and apples, hayrides, farmers markets, craft fairs and more. Think of Apple Hill like it’s Disneyland. You couldn’t possibly get to every orchard and shop in one day. So if it’s your first time there, go to their website and download their map to get a lay of the land. applehill.com/map2016. If you have been there before, you can explore a new orchard or venue you haven’t been to yet. The website also offers a comprehensive brochure that can be downloaded and printed out – with a list of every gift shop, winery, orchard, Christmas tree farm, bakery and berry patch along the way. Starting on page 38 is a list of every point of interest with a grid showing what they offer. issuu.com/applehill. Grandpa’s – This orchard features a bake shop and a lovely shop specializing in all things apple themed. They also have an impressive array of specialty food items including syrups, jams and butters. I sprung for a jar each of the cranberry chutney and caramel apple butter. The perfect addition to the upcoming Thanksgiving meal. Apple Ridge Farms – A great place to grab something to eat. It not only features a BBQ lunch and bake shop with plenty of picnic benches, but a country store, duck pond and orchard market building. Lovely grounds to stroll through and hay mazes for the kids. High Hill Ranch– This sprawling area features plenty of places to eat, a large craft fair, hay rides, a produce shop with specialty food items and a pond area. Just up the road is the Fudge Shop full of every kind of candy you can imagine to satisfy your sweet tooth. Rainbow Orchard – Watch them make fresh apple cider in their cider press, and don’t forget to buy a gallon. (You can freeze it!) Featuring plenty of apples for sale in addition to pumpkins, pears and much more. Honey Bear Ranch – Wonderful bake shop featuring their signature caramel apple pie. They also have wine tasting, with a specialty near and dear my heart – 4 kinds of Hard Cider! Apple Hill is busiest during the fall, but some orchards and shops are open year round. Call ahead to pick up a fresh or frozen holiday pie. And don’t forget about their Christmas Tree Farms for choosing a perfect holiday tree. From there, you can visit the websites of all the individual orchards and venues. 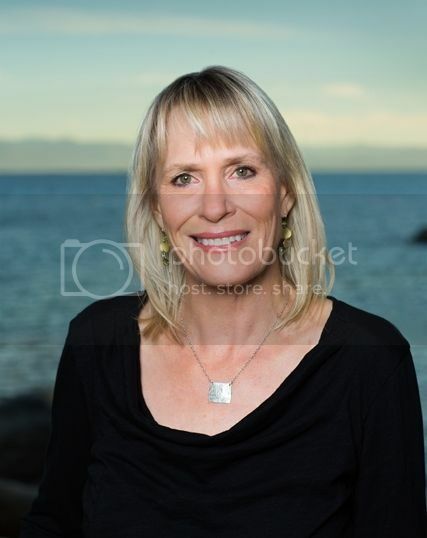 THINK OF ME, LYNN RICHARDSON, FOR ALL OF YOU LAKE TAHOE AND TRUCKEE REAL ESTATE NEEDS!